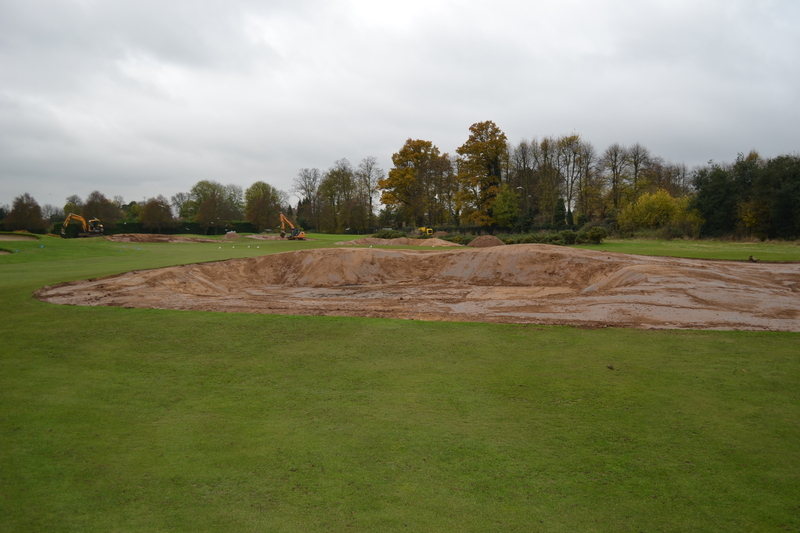 Levenseat Specialist Sands has successfully supplied more than 1,500 tonnes of Levenseat ProBunker 13™ to Buckinghamshire Golf Club, as part of a £2.5m redesign by architect Tim Lobb. The Levenseat Specialist Sands division of Aggregate Industries, based in Scotland, was able to fulfil the requirement for a large quantity of specialist natural silica sand of a bright white hue, with high compaction, high coarse blend and optimum moisture. Whilst Leighton Buzzard based Garside Sands, also part of Aggregate Industries, supplied the Rootzone and dressing for the prestigious golf club. Recognised as one of the finest inland golf courses in the British Isles, playability was key. Transported from Leavenseat Quarry in Scotland, the high quality free draining silica sand was used on a trial bunker in the chipping area over a period of 12 months. Following excellent member feedback, the sand was installed in the first nine holes involving 35 bunkers last year, with phase two to install the remaining nine holes expected to complete in March 2017. With such a large quantity required, with annual top ups, longevity of stock was vital. With the capacity to produce large amounts of sand each year, the Levenseat quarry had the capability to deliver comfortably the volumes of material required, often loading up to 100 tonnes for a single delivery. Levenseat Specialist Sands range of natural silica sands have a high silica content, typically above 90 per cent, making the sand hard-wearing with low attrition rates, a 'sub-angular to rounded' grain shape and a naturally occurring colour range from white through to yellow and brown. The Levenseat Pro range of specialist sands is a trademarked range of market-leading sands, produced using a unique production process where the sand is washed and processed four times and tailored for each market sector to provide unrivalled quality. Levenseat’s sands are washed and blended from a variety of coarse, medium-coarse, medium-fine, fine, and very fine sands, and can also be mixed with a range of soils and peats to create landscape and divot mixes.